Since qualifying from the University of Hertfordshire in 2007, Jenny has had a wealth of experience treating a wide variety of musculoskeletal and Women’s Health conditions. For the past 6 years Jenny has worked at St Mary’s Hospital Imperial College Healthcare Trust in London where she gained invaluable experiences in a variety of settings such as orthopaedics, neurology, respiratory, paediatrics and outpatients. Jenny has treated complex peripheral, spinal and Women’s Health conditions and has worked with some of the leading experts in physiotherapy, allowing her to develop a vast skill set. 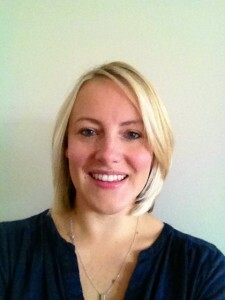 Alongside treating musculoskeletal injuries Jenny has a keen interest in treating Women’s Health conditions. Women’s Health Physiotherapy focuses on obstetric musculoskeletal conditions such as pelvic girdle pain, uro-gynaecological conditions and pelvic floor dysfunctions including: prolapse and urinary incontinence.